Gambling has a wider influence than maybe some people think. It has found its way into the arts and has made a rather large splash. Literature, music, and the plastic arts all have had artists contribute opuses with gambling within the theme. When it comes to film, though, gambling has made a much bigger splash. Hollywood, for instance, has taken casinos and gambling and added it as an ingredient to many famous films throughout history, thus creating many memorable characters that either are professional gamblers, gambling enthusiasts, gambling con artists, or even stock market monsters. In all of Hollywood film history, there are three characters that stand out for their gambling and hustling. Everyone has seen at least one James Band movie in their lifetime. If not, that person lives under a rock. The 2006 film Casino Royale introduced to the world the silver-screen interpretation of the mathematics genius, chess prodigy, and member of the Quantum organization Le Chiffre, which means The Cypher or The Number in French. This astute, arrogant, cynical, cowardly, sly, ruthless genius confidently attempts to manipulate his adversaries, including Bond, and show off his mathematical abilities by playing casino games. In the film, Le Chiffre is a banker for the world’s terrorist organizations who loses a lot of Quantum’s money in a dirty investment after Bond intervenes and foils his corrupt plan. In order to save his own skin, Le Chiffre attempts to win back the money before Quantum realizes what has transpired by organizing a high stakes Texas Hold’em tournament, his favorite game, in Montenegro at the Casino Royale. James Bond is sent to stop him from winning back the money. At first, Le Chiffre outfoxes Bond and leaves him bankrupt. After a new bankroll and reviving from a poisoning effort, Bond beats Le Chiffre at his own game. The classic film Back to the Future has a special place in all our hearts and maybe even on our movie shelves. That said, Biff Tannen must have a special spot in our memory. The stereotypical high school bully, he picked on George McFly making him do his homework and hitting him and such. In the future, the year 2015 to be exact, the old and failed Biff overhears Doc Brown and Marty McFly, George’s son, talking about the DeLorean time machine. He grabs a sports almanac and steals the DeLorean; he goes back to 1955 and gives his younger self the almanac. Young Biff begins betting on sports games and winning heaps of money. In a few years Biff had remade his future and had become a very rich and very powerful man through sports betting, even though he knew the results in advance. He began his own toxic waste company, Biffco, and opened his own casino, Biff’s Pleasure Palace. 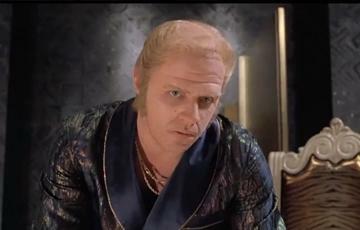 Even though he cheated, Biff Tannen made himself a gambling mogul. This is very likely the king of gambling and shrewdness, except he doesn’t play casino games; Gordon plays the stock market…very well. Gordon Gekko in the film Wall Street is the epitome of the greed and cunning. He does anything necessary to make stocks move in his favor. In the film, he mentors a young Bud Fox, son of a lower-middle class airline forman, into making a huge profit. Gekko teaches Bud how to dig up information on companies by any means necessary, even if they are illegal and corrupt. Despite this, Bud ends up making loads of money. Gekko embodies a very interesting character, both a mentor and an adversary for Bud, but most of all, he embodies a cunning stock gambler. There are plenty more gambler characters in Hollywood films. If you start with one, that one will lead you down the road of a library full of great films with wonderfully interesting gamblers.